Only 22% of Brits say they’d be comfortable discussing how much they have on their bank account with a close friend1. This reticence to share our financial situation with others is probably rooted in a fear of being judged for our spending habits. Yet, talking about where your money goes can be worthwhile. You might be overpaying on bills or realise there’s a cheaper way to get that TV subscription you’re paying through the nose for. If you’re in a relationship, you’ll need to know what kind of spender your partner is, and vice versa. Likewise, if you’re looking for help to get your finances in shape, you’ll need to give an honest account of your financial situation, including income and expenses. Without this, you’ll make it hard for anyone to help you. What are your financial worries? 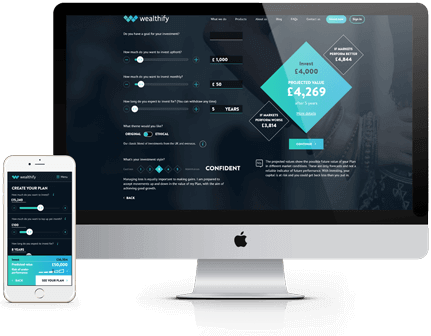 Money is the most common cause of stress amongst Brits, according to digital healthcare company, Forth With Life2, and this money-related anxiety doesn’t happen in a vacuum. Financial worries can affect other aspects of your life and lead to a lack of concentration, mood swings or more serious health issues, such as panic attacks. However, you can easily externalise your worries and fears by talking about them. Not only will it help take a weight off your mind, but you might also find some much needed support from your confidant(s). So next time you’re stressed about having enough to pay your bills, try to talk to someone you trust – they’ll see the situation more rationally and could give you some useful tips to prevent things from getting worse. We all have dreams, whether it’s getting married, buying a home, or travelling around the world. Bringing these dreams to life is no easy task, especially if you refuse to address the obvious issue of how you’re going to finance them. If you and your partner never discuss your personal goals, how will you go forward? How will you budget and plan for your future together? Talking about your goals will allow you to come up with a plan of action which is realistic and measurable. If you’re single, speaking to your parents, close friends, or a financial professional could help you prioritise and plan. What can you do to save more? According to Talk Money Week, 12.9 million adults in the UK have no savings to cover emergencies, which is worrying given that three quarters of households get an unexpected bill each year3. A good way to put money aside is to treat your savings like any other monthly outgoing. Set a direct debit or standing order to transfer money from your current account to your savings fund, this will help you build wealth without you realising it. Also, it might be worth asking around about what you could do to increase your savings, chances are that family and friends will happily give you some tips. You could even ask your friends to help you avoid situations where you have to spend money, by organising more nights in, family meals at home or outdoor activities that don’t cost. A problem shared is a problem halved, so don’t be afraid to call on your nearest and dearest for help. What are you doing for the long-term? Once you’ve created a budget and developed good savings habits, it may be time to look at the long-term. A good money conversation to have is with your loved ones or a financial professional to help you determine your future plans. You could start with the ‘pension talk’ – whether you’ve been paying into a pension for years or not started, now could be a good time to review where you are. Think about how much you’d like to have on retirement and that’ll give you a good idea of whether you’re on track –if you’re used to a £30K annual salary now and want to maintain your lifestyle in your later life, you (or a qualified adviser) can calculate what you need to be saving to hit your goal. Your future self will surely be grateful.